Based in Bay City, Michigan, Niles Plant Services supplies scaffolding and related services to clients throughout the United States. The family-owned business focuses on customers in the chemical, automotive, manufacturing, industrial and utility sectors, managing around 100 scaffold builders at a time. Founded in 2013, the firm is building on the family’s nearly 50 years in the painting, blasting and coating business. When Niles Plant Services got off the ground, project manager Kirk Stevens sketched scaffold designs and drew up materials lists by hand. As demand for the company’s services grew, several colleagues were pulled in to help produce drawings. Stevens and his supervisors soon realized that manual drafting was slowing the company down. Drawings were taking hours, especially when designs were complex or included multiple structures. “Sometimes I could not respond to my customers as quickly as they needed,” Stevens says. It took even more time to produce material counts. That put a limit on how many jobs the company could bid for and carry out. Drawing by hand could also cause hold-ups in the field. “If you have 10 different people build a scaffold, you’ll get a different result 80% of the time. The builders are forced to interrupt designs and sometimes change parts, and that can definitely cause delays in production,” Stevens says. Company leaders realized they needed to incorporate technology to improve speed and quality. “We started looking ahead at what the trends are going to be and what’s going to set us apart from other companies. We wanted to take the next step and go further for customers, and we wanted to become more efficient and better at what we do,” says Mike O’Keefe, the firm’s vice president of scaffold operations. That meant colleagues who had previously helped with drawings could focus elsewhere. And the firm could take business to the next level. “Scaffold Designer allowed us to increase our bid volume, our capacity and our ability to get more work,” O’Keefe says. Scaffold Designer is also helping the firm win clients and increase customer satisfaction. When customers receive a quote, they now get a drawing as well. “Customers want to know we have the ability to access certain areas and get around obstacles. This gives us the opportunity to show them before they even ask,” O’Keefe says. Drawings produced in Scaffold Designer, including a 3D view, also help project managers clarify exactly what they want built in the field. “When we give a copy of the drawing to the scaffold team, it allows them to take some of the guesswork and redesign out of it,” O’Keefe says. 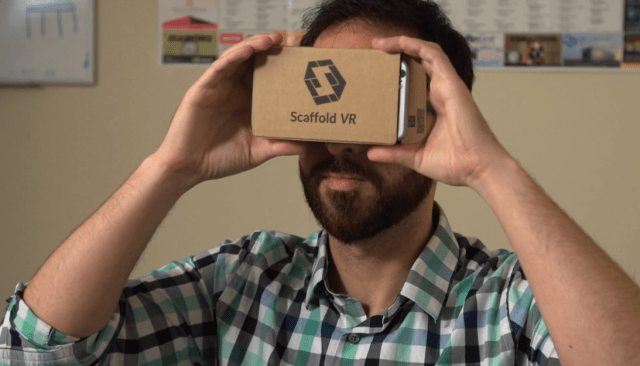 Communication got even smoother starting in March 2017, when Niles Plant Services began using Scaffold VR, a new virtual reality extension for Scaffold Designer. Company leaders and operations managers can virtually walk through a design from all angles before it’s built. 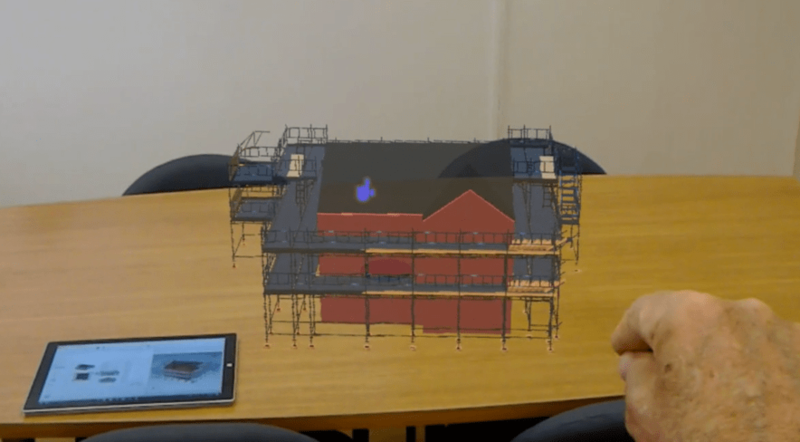 “Viewing models in Scaffold VR helps identify clearance issues, distance from walls and other issues of concern. It puts it in perspective in a way that’s challenging for people in print,” O’Keefe says. The firm is also using Scaffold VR to show designs to clients. “For people who aren’t sure how you’re approaching a project or how it’s going to function in real time, being able to walk them through a virtual build is fun and gives them the opportunity to see what it’s going to look like before it’s built,” O’Keefe says.